The University requires a parking permit to park in the University parking lots. Parking permits are available for purchase ($6) at the Information Booths located on Prairie Street on the west side of campus and Lindley Avenue on the south side of campus. Exact change is required. The closest parking to the Armer Theater is in lots B1, B2, or B3. 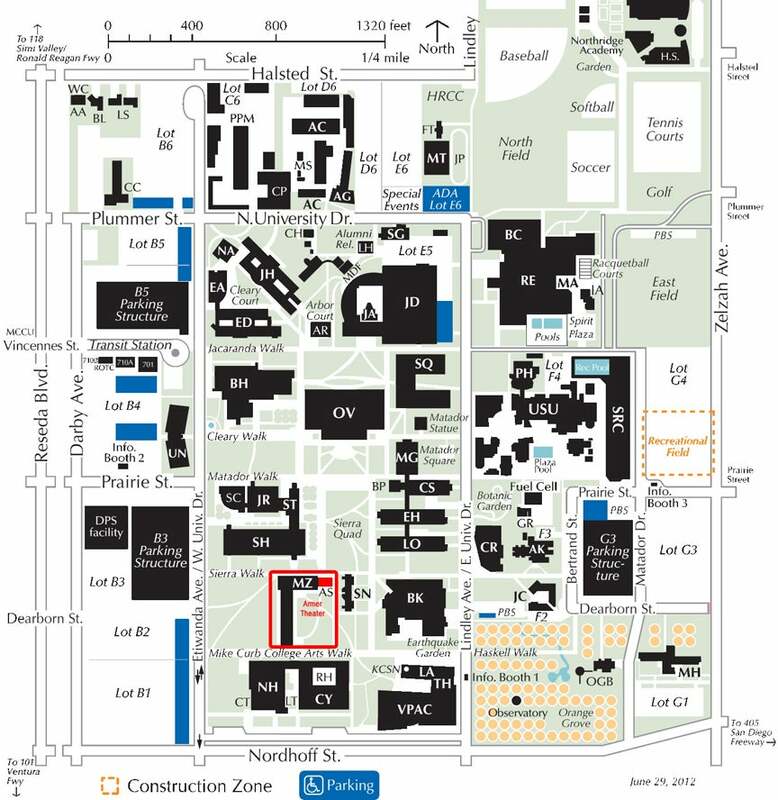 The theater is located in Manzanita Hall (MZ) and is labeled AS on this map.